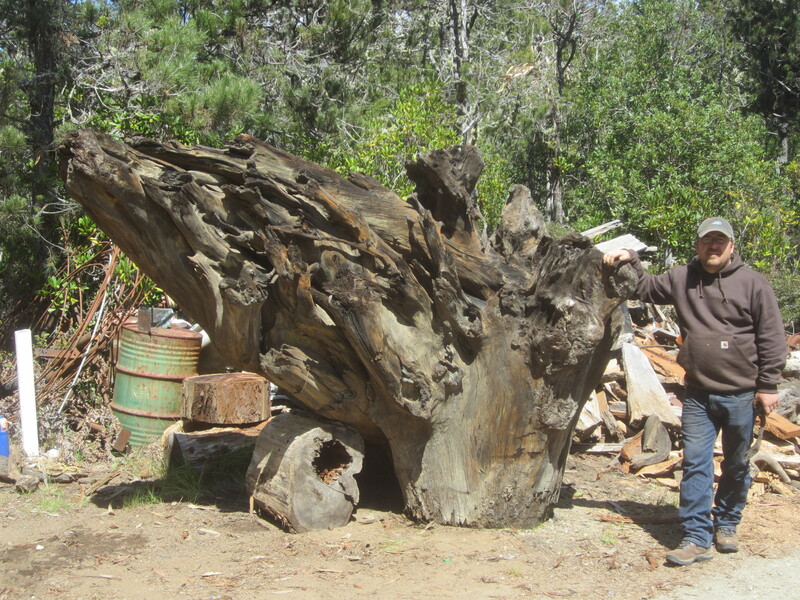 We have a number of Redwood stumps perfect for chainsaw sculptors or as beautiful objects in and of themselves. Nathan Anderson with a rare sinker Redwood burl stump. We have large and small carving blanks available for sale, mostly redwood. Pictures are coming soon and will be posted here. In the meantime feel free to give us a ring at 707 937 3434 or email us at aalumber@mcn.org to inquire about or purchase carving blanks.